The CEO of a big U.K. bank has apologized to its 75,000 employees after he was reported to be having an extramarital affair. 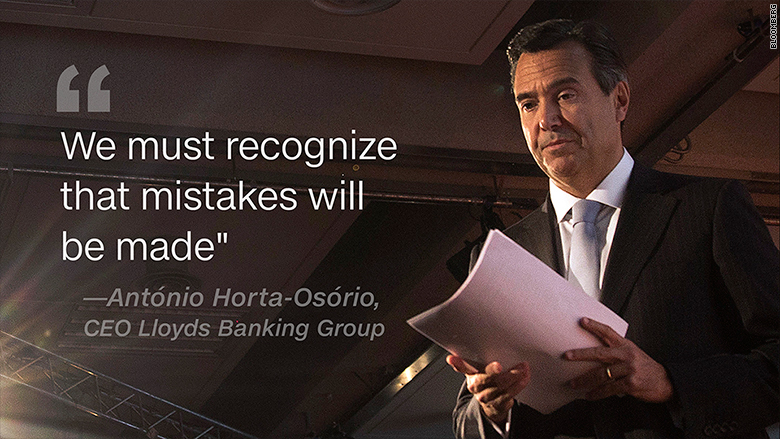 Lloyds Banking Group (LYG) CEO Antonio Horta-Osorio sent a memo to all staff Wednesday apologizing for the damage caused by reports that he spent time with a mistress during a recent business trip to Singapore. Horta-Osorio said his "personal life is obviously a private matter" but went on to write: "I deeply regret being the cause of so much adverse publicity and the damage that has been done to the group's reputation." The Sun newspaper broke the story in early August, publishing multiple pictures showing Horta-Osorio with his alleged mistress. The Sun said it had obtained hotel bills from Horta-Osorio's trip that showed he spent about $5,000 in total on the room, minibar, room service and two spa visits. Horta-Osorio said the bank had reviewed his expenses and found that they were "fully compliant." "As you'd expect, I pay for my personal expenses whilst away and only reclaim what is a business expense," he said in the memo. He also reassured employees and investors that he would not be stepping down. Shares in Lloyds rose 3%. Lloyds Bank received a big bailout during the global financial crisis. 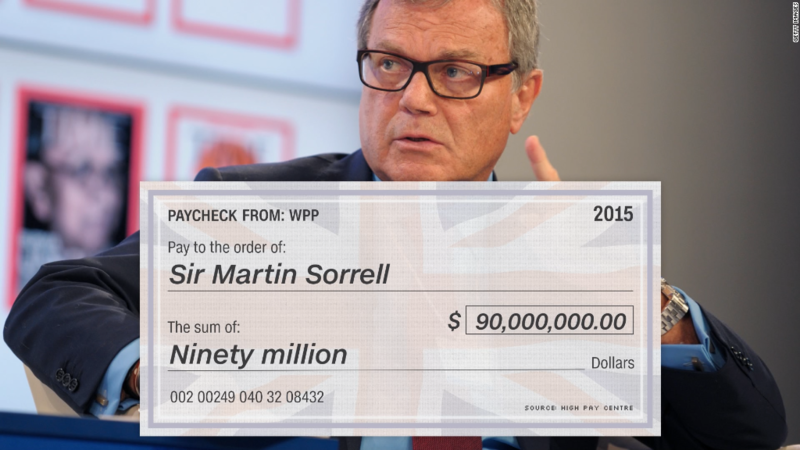 As part of the rescue, the U.K. government took a 40% stake. The government has gradually reduced its holding to about 9%, but that still makes it the biggest shareholder. Horta-Osorio was appointed CEO in early 2011 but went on medical leave within a year of taking the top job, reportedly due to fatigue. He returned to his post within a few weeks, and has since overseen the return of the bank to financial health. He has also demanded the "highest professional standards" in an industry still tainted by years of misconduct. "Having the highest professional standards raises the bar against which we are judged and as I have always said we must recognize that mistakes will be made," he wrote Wednesday.